I got sidetracked by three days of radiation to the brain. Excitement sets off seizures, so I thought movie watching might be out for a bit. Also, screen time causes headaches. They are better, so will get them watched soon. Seven Samurai is awfully long, though. They all are. The 1960 version didn't seem to be as interesting as I remember. I actually found the trivia page at imdb more interesting than the movie. Watching Steve McQueen do little things in his scenes with Yul Brynner to take the spotlight away from him. Anyone else notice the editor for this film was Ferris Webster? He worked with Eastwood from the early 70's - 1980's as editor on many Eastwood films. Overall, these two films were quite a challenge to sit through. I'll enjoy the next challenge more I'm sure. Yeah, I agree -- difficult, but educational. These are classics, so it's good to be acquainted with them, but I don't think I'll watch either again. SK, have you seen the newest The Magnificent Seven yet? Good eye! I missed that! I've renewed Seven Samurai three times. Still got more than an hour to slog through. Meanwhile, the gossip hounds at the NYPL have started talking about how KC in the rare books section has a thing for samurai. She can't stop watching Seven Samurai. She's renewed it THREE TIMES! Fortunately, it's all handled by the bots. Oh! that explains the shortage of robot-sized samurai costumes in NYC! I finally finished Seven Samurai! The snow day (off from work) helped ... I finally had an evening when I wasn't too tired to sit through more than about ten minutes without falling asleep. I liked the last half hour ... quite a lot, in fact. It made me almost want to go back and watch the whole thing again and pick up on all the parts I missed, either because I was too sleepy or because they just went by before I could grasp the significance. Almost, I said! Meanwhile, I renewed if four times and I'm finally going to return it tomorrow (it's due for the fifth time on Monday). Visually, it was a tremendously striking film, and the actors who played the samurai were great, even if I thought Mifune (the only one I recognized) was a bit over the top. But he was supposed to be a peasant trying to be a samurai, so it was natural that his behavior was such a contrast to the stoic reserve of the others. I'm sorry, but I found the peasants a tiresome, whining lot. Couldn't work up much sympathy for them, though they were brave enough in the final battle. Trying to decide whether to go on with The Magnificent Seven. I can rent that one from Amazon, which would at least force me to watch it in a hurry (you only get 48 hours from when you start watching). Or, I could order it from the library again and keep it out another five weeks or so! 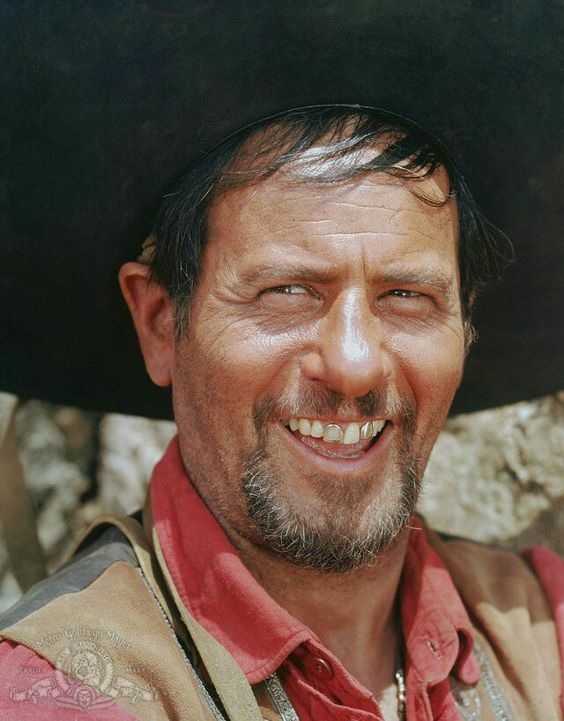 I finished The Magnificent Seven, and feel like the only really enjoyable part of the film was Eli Wallach. He's the only character that comes off as authentic to me, but even better - it was like finding lost footage of Tuco all those years later. He's almost the same character, if not more ruthless. He looks, dresses and acts the same, and he's pure gold. One big difference between this film and Seven Samurai is that in the latter, the bandits were more or less anonymous. Having an adorable Method actor (even if he's acting really, really mean) as the lead bandit makes the whole dynamic quite a bit different. I finished Seven Samurai today. It definitely picked up after the intermission. I was rather humored that every culture seems to require a fool to provide comic relief (even if he isn't a fool). Some scenes were much darker in this than in the Magnificent Seven because they deal with culturally sensitive things like honor and different tiers of a society that are much more rigid than ours. I really enjoyed this. I found it interesting that it was much more acceptable for the men to weep openly. In such a tightly structured society maybe that is a good thing and provides a release. I'm on a roll! Actually I'm bored to death sitting in my recliner, so The Magnificent Seven was a wonderful diversion. I've always enjoyed this film because there is a degree of character development provided. At least enough to give the imagination room to run. It also introduced me to a number of actors who were new to me and I got to explore many new films as a result. Eli is wonderful, as always. Yul Brynner, Charles Bronson and James Coburn play my favorite characters. Looking at that list, there is something they all have in common - they don't talk too much. Elizabeth, it sounds like you enjoyed both of the films. Which would you say you preferred? That's an awful question to ask. While being so similar, they are so very different. I am more likely to watch The Magnificent Seven more often because it's shorter and I love it as a western, but I think Seven Samurai is my favorite. Like some other favorites of mine, it should be indulged in sparingly. The Manchurian Candidate is a great one, if you haven't seen that one before, it's time. I caught up with the 2016 version on our flight to Hawaii. Overall I enjoyed it, probably would enjoy it even more on a screen wider than 7 inches or what ever they are on the back of the seat. Peter Sarsgaard played the baddie well. Whenever I want to see a character get gunned down so bad, it's a sign of a good performance for me. Vincent D'Onofrio was my favourite of the seven.